The Mini DisplayPort is the standard for the new and future MacBook, MacBook Pro and Mac Air. Connect to any external display or projector to use as your main workspace or to extend your desktop. The Mini DisplayPort Adapters will also allow you to work in mirrored mode with a projector so you can view what your audience sees. 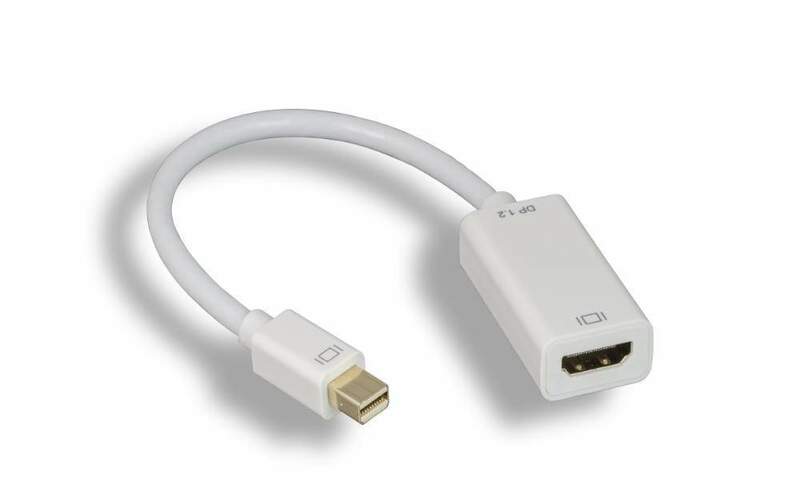 Utilize the Mini DisplayPort to HDMI Adapter to connect a MacBook, MacBook Pro, or MacBook Air to any high definition TV or LCD with an HDMI connector or cable. Please check double check your HD TV or LCD manual to make ensure that you are choosing the correct adapter.